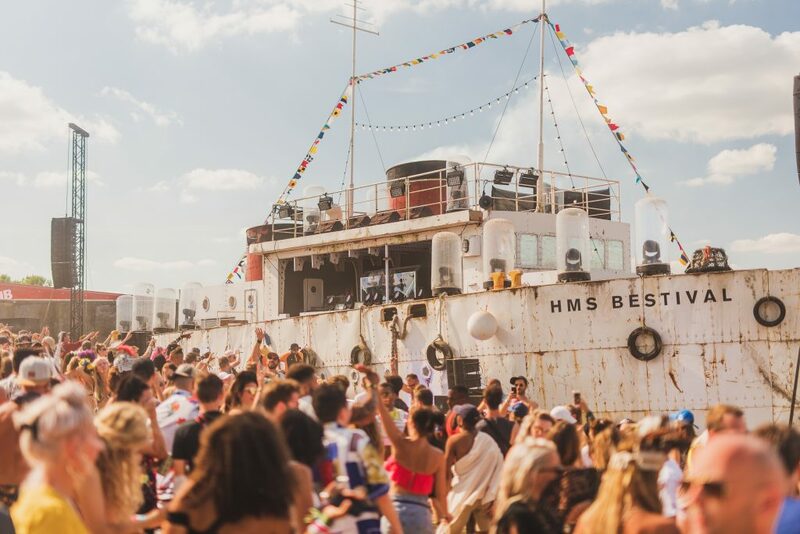 After a muddy 2017 and the previous weekend’s Camp Bestival having to be cut short due to apocalyptic weather, everyone was likely glad for the blazing sunshine that bathed this year’s Bestival. The festival, now in its fifteenth year, is a bit of a magpie in two ways: musically it’s packed with weird and wonderful acts, aesthetically it absolutely loves glitter and there were a lot of gems throughout the bill. After a strong start on Thursday with early goodies from the likes of Nilufer Yanya, CASisDEAD and Jorja Smith, the Friday night’s main event on the big Castle Stage was Silk City, the new project by Calvin Harris and Diplo. Your (un)esteemed reviewer opted for Sundara Karma at the Big Top instead and they played a set that was well-received by the young crowd, including new song “One Last Night”. Django Django followed them and furthered their status as festival favourites with a frenetic, drum-pounding show that, after a day of drinking in the sun, felt like being walloped around the head while having bright lights swung at you. In a festival brimming with RnB and EDM, Shame, Rat Boy and We Are Scientists brought a bit of rock to proceedings. Shame’s Charlie Steen is a captivating frontman, equal parts thankful and threatening. Wiggling around in a tiny pink top, throwing beer on himself and having his microphone stolen in a moshpit while he checked a little kid was alright, you couldn’t take your eyes off him. Rat Boy was a less menacing presence but drew a sizeable, receptive crowd, while We Are Scientists reminded everyone of how fun they were in a set generously-laden with earlier songs. Small crowds seemed to be a bit of a theme in the Big Top, supposedly the second stage, with Shame and We Are Scientists both drawing only a few hundred punters. The most undeserving victims though were Plastic Mermaids who were playing on the Saturday evening in what you would’ve thought should be a prime spot. They’d brought a choir and confetti cannons, put on a great performance and the sound was set up fantastically, but unfortunately there weren’t that many there to see it. More people did join in as it careered towards its climatic ending, but the bonkers experimental-indie fivepiece really should, and could, be playing to much bigger crowds. Hopefully more people will catch on when their debut album comes out later this year. Two acts who didn’t struggle to draw people to the Big Top were Grace Carter and Mabel. It was especially impressive for Carter as she was on early on Saturday, and both went down really well – Mabel’s hit “Finders Keepers” got a particularly big reception. The two singers look set for exciting things over the next couple of years. There’s a lot of hype around Confidence Man, especially their festival shows, but their early afternoon performance was bemusing rather than brilliant. You hear about bands who have it in their contract that they can only play at night; the Aussie fourpiece should have it in theirs that they can only play when people are wasted, not when they’re recovering. It’s a fun spectacle and knowingly daft but – and the sound arrangements may not have helped them here – are the songs actually that good live? A lot of festivals like to compare themselves to Glastonbury but of the ones I’ve been to, Bestival is probably the closest in terms of the feel: strange structures and interesting installations, random things happening in random locations, lots and lots of fancy dress and, of course, stumbling across unusual or unexpected acts. There’s lots of that with an eclectic line-up spread liberally across a number of stages – other personal highlights included a deliriously fun set from Mr Jukes, a loony whatever-it-was by nutty pop-double-bass-masher-uppers Thrill Collins at the Caravanserai tent, and chilling out to Kitty, Daisy and Lewis on Sunday afternoon. It’s not perfect and there are some surprising issues for a festival of this size and history – the toilet situation didn’t stack up to similar festivals, a cashless system had been promoted but a lot of traders didn’t take card, and where was the indie disco? 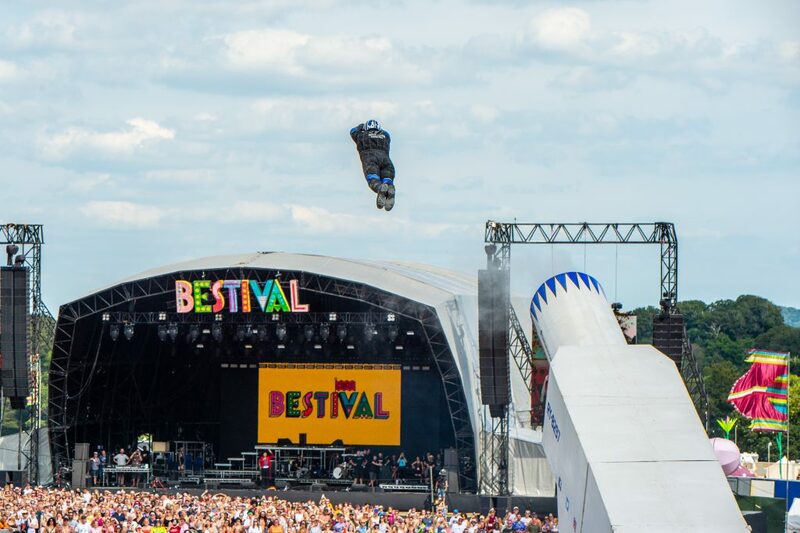 – but you’ll never be bored at Bestival. If you prefer your festivals to be more about unearthing new things, observing oddities and soaking in the general vibe rather than listening to chart titans in a field then you likely had a lovely time.